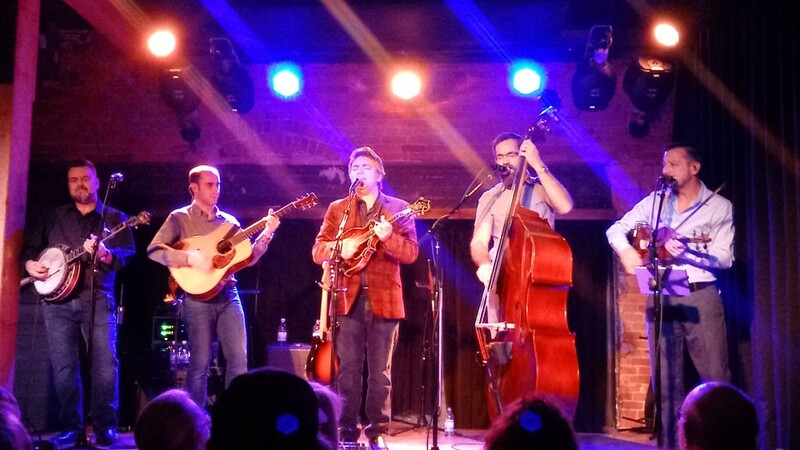 The Travelin' McCourys brought some magic to The Bartlett Wednesday night. The other day, roots-rock guy Jason Isbell tweeted: "The older I get, the more I notice the similarities between bluegrass and metal." While he might have been joking — Isbell is often one of the funniest musicians on Twitter — he's also correct, as evidenced by the Travelin' McCourys visit for two shows at The Bartlett Wednesday night. Like metal, bluegrass crowds tend to react most favorably to the lightning-fast solos on stage. No one watching Ronnie McCoury tear into his mandolin solos Wednesday — fingers flying across the frets while notes poured into the air at a rate any thrash-metalhead would envy — could be anything less than dumbstruck. The rest of the band was just as proficient. Much of the audience packing the early show might have been seated, but the fast passages had the standing folks moving frantically in the back of the room. Like metal, bluegrass musicians carry a reverence for the past in their chosen musical oeuvre that borders on obsession. Yes, the Travelin' McCourys push the boundaries of bluegrass in their more progressive moments, throwing in Grateful Dead, Waylon Jennings and Passenger covers. But the mini set of Bill Monroe tunes during the 6 pm show was hard to top, as McCoury, his banjo-playing brother Robbie, guitarist Cody Kilby, fiddler Jason Carter and bassist Alan Bartram paid tribute to a towering figure of bluegrass with hot takes on "The Bluegrass Breakdown," "Body and Soul," "The Kentucky Waltz," "Big Mon" and "On and On." Like metal, bluegrass fans stick with their genre through thick and thin. Bluegrass's popularity among mainstream audiences rises and falls every generation or so — think about the popularity of the O Brother, Where Art Thou soundtrack, a collection of bluegrass and roots music that won the Grammy for Album of the Year in 2002, sold 8 million copies and took a slew of bluegrass musicians beyond the confines of festivals to new audiences around the country. 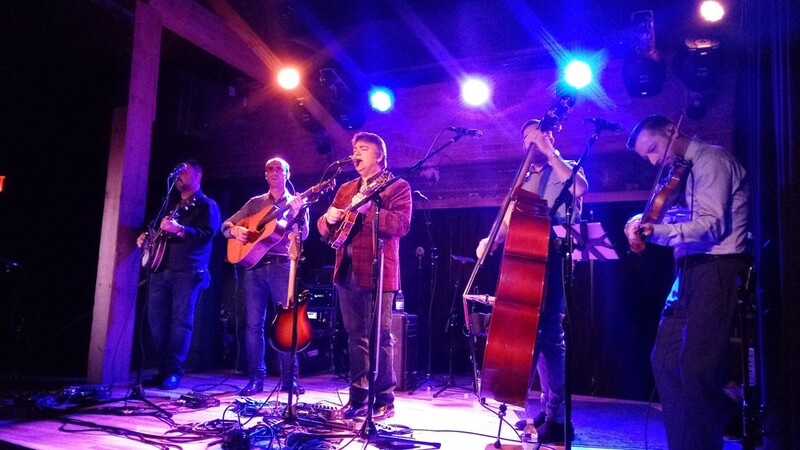 We're not in that environment anymore, but the folks filling the early show at The Bartlett (the late show was only about half as crowded) knew they were getting serious bluegrass royalty when the Travelin' McCourys stopped by Spokane. They reacted accordingly as the musicians on stage — who have collectively won an insane number of awards from the International Bluegrass Music Association for their instrumental prowess — joked, sang and played. Ronnie McCoury, Carter and Bartram traded vocals throughout the show, or harmonized on each other's tunes, and Carter was particularly put to the test thanks to a large contingent of fiddle fans and players in the audience due to our region's famed fiddle community. His take on "Saw on the Strings" early on was a joy, as was Bartram's "Shaker." "Old Bud," a song from Kilby's solo career, gave the guitarist a chance to shine, and he was an ace all night. Then again, it's hard to say any particular player stood out in the band since they're all such good players. Seeing the Del McCoury Band years ago is what turned me into a bluegrass fan. Hopefully someone seeing his sons' new crew in Spokane Wednesday had the same experience, because it doesn't get much better than what the Travelin' McCourys threw down.